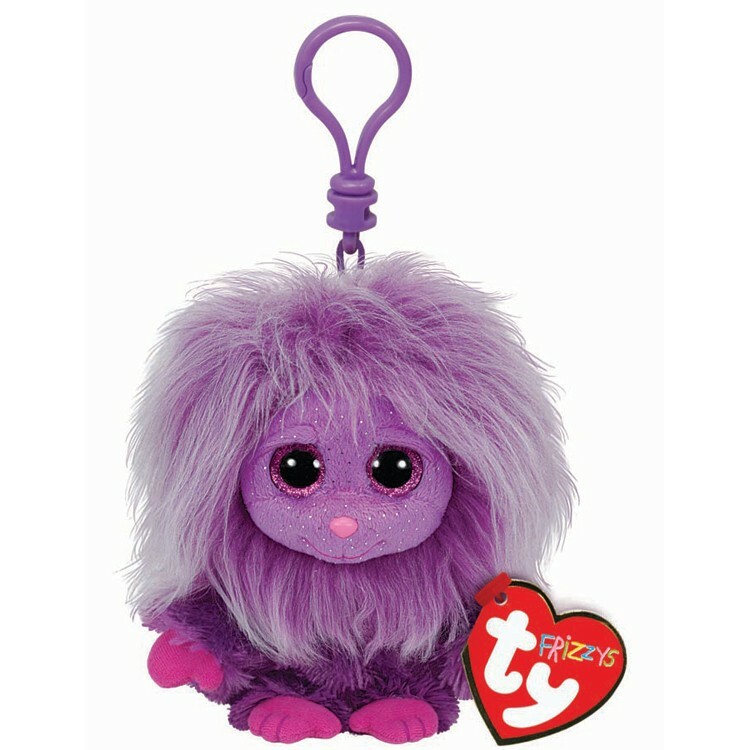 Zwippy is made from a fuzzy purple material with longer, lighter purple hair on her head. She has large sparkly purple and black button eyes and a pink button nose with pink stitching for her mouth. Her face is made from a smoother purple material flecked with glitter and she has bright pink hands and feet. Zwippy was introduced on 30th December 2014. Her birthday is on 21st June. This is the key clip version of Zwippy. She was also released in a regular 6″ size, in a larger 9″ size and in an even larger 16″ size.